The label printer is a special purpose printer that has been formatted to print labels, tags and bar codes on self-adhesive labels, card stock, rolled stock and tear sheet stock. Other label printers are engineered to print on film and foil substrates. Label printers typically interface with computers to process its print jobs or operate as stand alone devices through its built in operating system. The latter refers to a Label Maker. Thermal printing technology is at the heart of the label printer operation. There are 2 types of label printers manufactured: Direct Thermal and Thermal Transfer label printers. Direct Thermal – This label printer uses heat to print barcodes, labels, graphics and texts by way of directly darkening the label forms and materials. Printouts turned out are sensitive to extreme heat or light exposure. It is best used to print short shelf life monochromatic labels. Direct thermal label printers offer an overall low cost printing platform since it does not require any consumable replacement. As Label Writer manufacturer Dymo puts it – the ink is on the label. Thermal Transfer – Said label printer requires the use of carbon ribbons in either wax or resin grades. The mechanism of thermal transfer is quite different from its counterpart as it employs heat to substrates and transfer prints onto the form; hence, the name. This allows the printer to produce high-density printouts that can be in color too. Compared to direct thermal units, thermal transfer printers deliver crisp and bright printouts and offer a much longer shelf life. It also covers more applications including signage, product identification labels, asset tags and many others. Print speed is not measured in the same manner as regular desktop printers. Instead of using printed pages per minute or PPM as gauge, the length of the output is used as measure. An average writer can print 3 inches per second and up to 12 inches per second in top speed. Print resolutions range from 203dpi and 300dpi on the average to a high of 600dpi. Label printers set with maximum resolutions deliver printouts with very specialized and fine prints. Label writers are very much portable in every way. These devices are manufactured in various sizes – 2 inches (58mm), 4 inches, 6 inches and 8 inches wide. They are available mainly in 3 form factors to suit and deliver the needs of different areas that require label printing. Industrial. Label printers for this form factor are intended for continuous and high volume printing. Therefore, they need to be durable and heavy-duty. These printers are usually built to withstand harsh industrial environments such as factories, warehouses and distribution centers. They are reliable in terms of printing barcodes, text and graphics. They turn out good print quality for labels, invoices and packing slips and tend to last for long periods. Desktop. 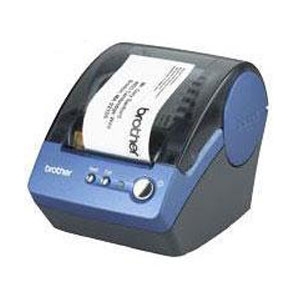 The desktop label printer is intended for light-to medium duty office use. These types of label printers are quiet, inexpensive, offer fast print speeds and deliver high resolution prints. The Dymo Labelwriter 400 for instance features a 1-1/2 label per second print speed and direct printing feature on Microsoft Word, Outlook, QuickBooks, ACT!, Goldmine, Palm Desktop, WordPerfect and many others. Portable. This type of portable label maker may either be built for commercial, personal and industrial purposes. And these are intended for light to heavy –duty use. The only difference from industrial and desktop models is that these are used on location and any wireless or plug in connections are unnecessary. Label printers can print directly from different applications to different formats such as labels, tags and wristbands for address, mailing, shipping, round and other media slip. Labels. The label format may come in different height (0-11inches), width (0-8inches) and shape corners. Moreover, different types of papers can be used such as standard, adhesive backed and sticker type. The label maker also accepts materials made of fan-folded piles, notched paper, polyester, polypropylene, Tyvek, vinyl, and mylar. Tags. This media is similar to labels but without the adhesive back type. Tags are mostly used on rough surfaces where adhesive could possibly leave marks. Tags are made of thicker media and high wax ribbons for scratch-free printouts. They also come in sizes from 3/8” to 11” and 25 to 216 mm width. Wristbands. Label printers for wristbands are used to create a wristband to track humans via printing patient identification, access control or crowd management. They usually come with higher technology, sometimes even outperforming laser printers. Wristband labels use media that are scratch free, with permanent adhesive closure and even waterproofed. Label printers can turn out output in batch mode, on-demand, rewound, cut and peeled. Batch mode – During lean production hours, printing in batch mode is very convenient to create long streaks of labels. The set up is energy efficient, low cost and involves a one-time operation. Batch mode sets the printer to produce volume of labels in one push of a button. On-demand – Continuous label printing demands speed and accuracy while retaining quality outputs. Such label printer is required in manufacturing and packaging facilities. On-demand mode guarantees users of up to 50% savings in terms of energy consumption and printing cost. Rewound – The rewind mode allows the labels to spin back to the spindle after being printed on. This neatly and evenly spins the label into a roll form. • Cut intervals – Cutting the label after every print. • Side cuts – Cutting the sides of the label after every print. • Peel off – Used when the printer has a “peel bar” where the label is fed and peeled off its adhesive. The cut and peel mode is usually employed in the turn out of adhesive labels for products such as beer labels and many others. 1. Dymo’s Labelwriter 400 Turbo – Considered the fastest in its range, this small printer boasts of a print speed of 55 labels per minute for 40 different label types. The device also allows direct printing from Microsoft Word, Outlook, QuickBooks and ACT. 2. RhinoPro 5000 – If you are looking for a user-friendly and easily customizable label maker, our small buddy here makes it to our Top 5 list. This handheld label maker is jam packed with quick access keys that sets up various label formats and barcodes with just a push of a button. This labelmaker boasts speed, ease of use and versatility. It also features a rubbercase proofing that makes it less prone to breaking. 3. 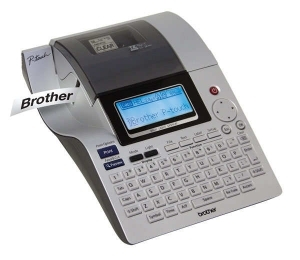 Brother QL550 – This little fella features a print speed of 50 full variety labels per minute of up to 2 and 3/7 inches wide, as well as direct printing from Microsoft Word, Excel or Outlook. Under the hood is a stylish auto tape cutter that easily cleans labels when done. 4. Seiko Smart Label Printer 440 – Seiko is known to be one of the best label makers in the market. Seiko’s 440 label printer can turn out 2 and 1/8 inch wide labels. But one of its top features is the SmartCapture feature. It captures addresses from Word, Act!, Goldmine, Palm Desktop and Outlook. No need to retype, relabel or resave! Moreover, the label printer allows the printing of customized labels that mix barcodes, use different fonts, or add the company logo in one label. It’s challenging to find well informed individuals on this matter, but you sound like you realize what you’re talking about! Wow! At last I got a web site from where I be able to truly obtain helpful information concerning my study and knowledge. Thanks! Saved me a lot of headache. Label printers are nothing but one kind of printer that is used to print any label for your personal use, schooling or maybe for your professional work. This type of printers are smaller in size compared to the ordinary printers and we are able to carry this type of printers.